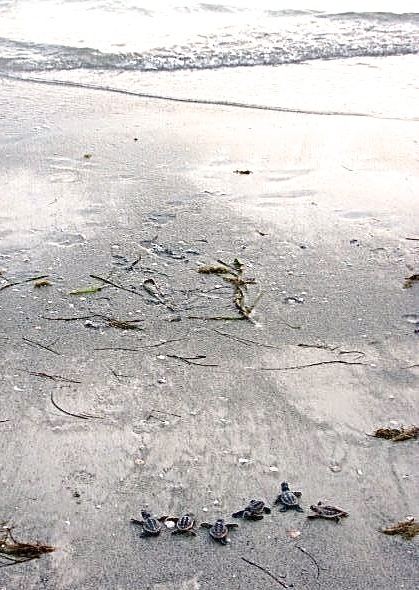 Every year, thousands of sea turtles come ashore to lay nests. 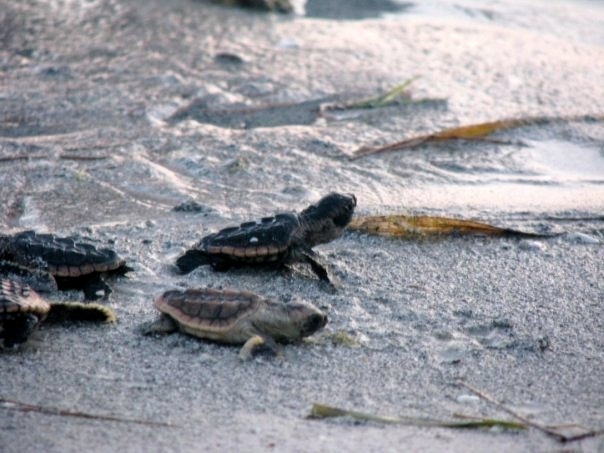 After incubation in the sand, hatchlings make the arduous journey to the sea and take refuge in the floating algae, which provides food and shelter to many juvenile marine species. Unfortunately, this algae also collects floating debris. In a recent study by Pham et al. 2017, scientists found 83% of observed oceanic-stage loggerhead sea turtles in the North Atlantic had plastic in their gastrointestinal tracts. 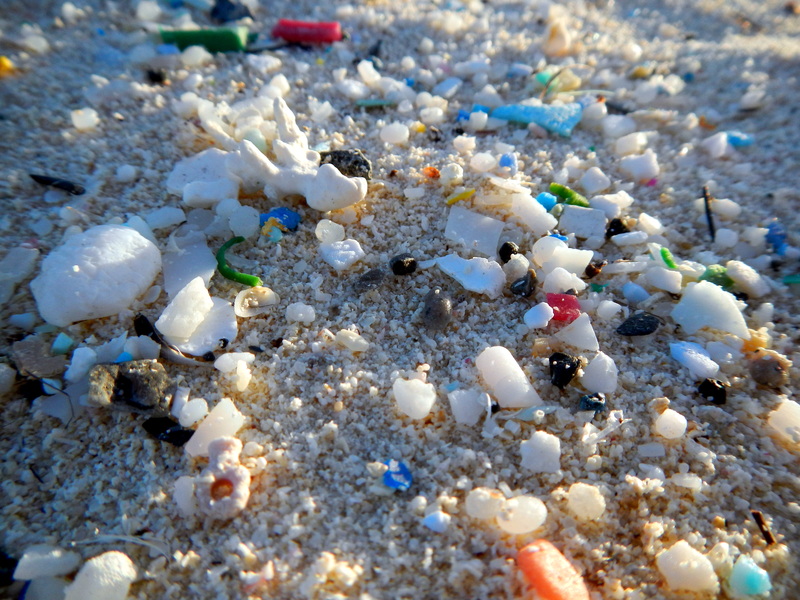 Plastics ranging from one to five millimeters in length were noted in 58% of individuals. This is especially bad news for sea turtles, as all seven species of sea turtles (including loggerheads) are endangered or threatened. There is also an increasing threat to baleen whales. These animals strain thousands of gallons of water each day for plankton, small fish, or crustaceans. Not only does their filter feeding behavior enable them to consume microplastics, reportedly by the thousands per day, but because most whales have a thick blubber layer, fat-soluble chemicals leached from the plastics could be readily absorbed into their bodies. Other marine mammals, such as dolphins, porpoises, seals, and sea lions can also be effected. If the small fish and other prey they consume have previously consumed microplastics, the debris can accumulate as it makes its way up the food chain. Avoid single-use plastic products when you can, opting instead for reusable water bottles, utensils, grocery bags, coffee mugs, and food containers. Avoid personal care products with plastic exfoliants and opt for natural options instead. This is becoming easier now that microplastics are being phased out of production in the United States. Join a cleanup! No matter where you live, removing plastic items from the environment protects the ocean. Spread the word. 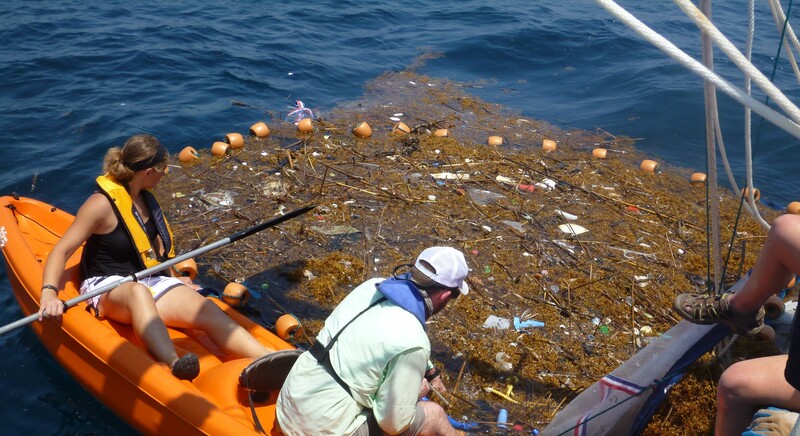 Preventing marine debris is the ultimate solution to this problem and getting others in on the action is important! We are learning more about the complex interactions between debris and marine species every day. As we gather more information, we can work toward more solutions. Together, we can change the course of ocean pollution for protected species, for human health, and for the long-term conservation of the marine environment upon which we all depend.